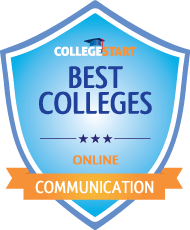 The Online Bachelor of Arts in Communication Studies at Arkansas State University ranked among the best value programs in the nation. The Arkansas state has designed this online communication degree program with versatility such that it helps a graduate have a wider choice of career options. The skills incorporated in the graduates assure one of success in any field that they may choose to pursue. The duration of the course work varies depending on the elective courses and specialization one chooses. However, only 120 credit hours are required to graduate with a BA in Communication Studies. The course work targets to build the interpersonal, organizational and professional communication skills of a person. The Higher Learning Commission of the North Central Association of Colleges and Schools accredits Arkansas State University. North Dakota State University is accredited by the North Central Association of Colleges and Schools. It offers both a Master of Science and Master of Arts degree major in Communication Studies that equips students with advanced knowledge in argumentation, risk communication, rhetoric and crisis communication. Some of the courses available within the major include: Communication and Change, Rhetoric of Environmental Science, Advanced Crisis Communication, Risk Communication, Theory of Argument, Survey of Rhetorical Theory, and many others. Students are given the opportunity to control the rate at which they advance through the program since the time-frame for completing the program is self-driven. Tuition costs $352.87 per credit. The university is listed in the top 75 of Midwestern Universities by the U.S News and World Report. Its online communication graduate program allows one to specialize in Mediation, Organizational Communication, Public Relations, Family Communication, Interpersonal Communication, Rhetoric and Argument and Small Group Communication. Tuition costs depend on residency status. In-state students pay $5,928 per year and out of state students pay $11,856 per year. 3. South Dakota State University. The Masters of Mass Communication offered by this university, offers a cheap online Masters in Communication. Courses offered include; Social Marketing for Health and Behavioral Change, Cross-Platform Storytelling, History of Journalism and Women in Media. Selective options available include International Media, Media administration and management, Option writing and Media law Case Studies. The Master of Science in Communications offered by the university was ranked as one of the best online master’s in Communications degree programs by the SDSU Continuing and Distance Education Council. Tuition costs for in-state students are $5,050 per year and $10,867 per year for out of state students. 4. Sam Houston State University. Communication programs offered at this school include an online Master of Arts in Communication Studies.This online program includes 36 hours of coursework and allows students to study topics such as Family and Interpersonal Communication, Gendered Communication, Conflict Resolution and Organizational Communication. This online program allows students to benefit from the low student to faculty ratio. Tuition depends on residence status and costs $4,410 per year and $10,782 per year for out of state students.